Selling a home is an exciting experience that involves many twists and turns. While the idea of earning hundreds of thousands of dollars at once is joyous, there are several costs associated with the exchange process that often catch homeowners by surprise. 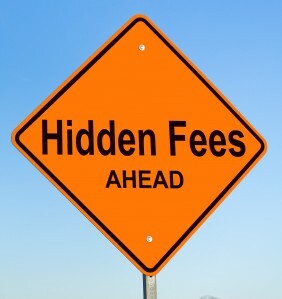 Here are three hidden expenses of home selling that few consumers know about before placing their homes on the market. There is sales tax in the car buying industry, and then there is transfer tax when it comes to home buying. Real estate transfer taxes can range from 0.01 percent to 4 percent of the selling price. In Pittsburgh, the average tax is 4 percent of the asking price. Although every homeowner is required to pay the government imposed fee, it is possible for the seller to split the cost with the buyer. You can essentially pay 2 percent of real estate taxes on a home sold for $400,000 instead of the full 4 percent. Homeowners typically do not learn of the capital gains tax until they file annual income taxes. It is then that they are informed of additional money owed to the government as a result of them selling their property. The good news is that capital gains taxes can be avoided by claiming up to $500,000 in exclusions for married couples and $250,000 in exclusions for single individuals filing taxes. It is important to note, however, that sellers must have resided in the home for at least two of the five years leading up to the exchange. They also must not have claimed full exclusion on property sold within the last two years. Some regions require written documentation of a residence being habitable before it can be sold to a buyer. Such documentation is recognized as a Certificate of Occupancy and can only be given by a municipal official. While the guarantee itself typically costs $50, the repairs that may be necessary to bring the property up to code could cost thousands. It is best for the homeowner to ask his realtor to walk him through potential repairs so that there are no surprises when the municipal official inspects the residence. Caymus Realty Solutions is your source for selling homes fast. We offer fair market value for real estate and pay cash for houses. Learn more about our services here.